If you're like me, you over indulged on sweets over the holidays so I thought it would be a good idea to start off the new year with a savory dish. New Year's Eve is traditionally a family night for us and we usually ring in the new year with drinks (non-alcoholic for the kids of course) and appetizers. These Spicy Smoked Gouda Meatballs are a delicious, easy to prepare appetizer that both kids and adults will love. The Red Pepper flakes add just a small amount of heat while the Smoked Gouda adds a lot of smoky flavor. You can also substitute Smoked Mozarella if you prefer or even use Spicy Italian Sausage if you prefer things on the spicier side. However you choose to spend your New Year's Eve, we hope you spend it doing something you love, with the people you love. Cheers to 2012! In a small bowl, combine the egg, onion, parsley, garlic, bread crumbs, parmesan cheese, tomato paste, salt, pepper and red pepper flakes. In a large bowl, gently combine the ground beef and ground turkey. Add the bread crumb/cheese/spice mixture and gently combine using your hands. Mix just until the ingredients are combined. Do not over handle or overmix your meatballs or they'll be tough. Gently roll into 1 1/2" balls. Press an indentation in the middle of each meatball and insert a cube of cheese. Reform the meatball. 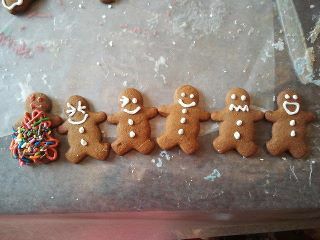 Place on the prepared baking sheet, evenly spaced apart. Bake at 400 for 15-20 minutes or until cooked through (time will depend upon the size of your meatball). Remove from oven, place on a platter and serve with a side of marinara sauce for dipping. Enjoy! Best served warm. Store leftovers refrigerated in an air tight container. Reheat in the oven. I hope you enjoy these new recipes! If you have any questions, do not hesitate to comment or send us a message. Faye and I will gladly try to help. 1. Take roast out of refrigerator, and let stand for 30 minutes. 2. Prepare roasting pan by placing the rosemary and the onions on the bottom of the tray. 3. Mix, pepper, garlic powder, salt and olive oil to form a paste. Add additional olive oil if the paste is too dry. 4. Rub pepper mixture all over the roast. 7. 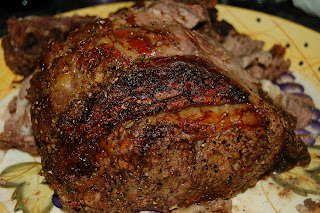 Remove from heat, tent with foil and let stand for at least 30 minutes so the juices redistribute along the meat. 1. Trim the brussel sprouts by cutting off the ends and removing the outer layer. 5. Put in oven and roast for 30-35 minutes, making sure you stir them every 15 minutes so they are roasted throughout and not just on one side. 6. While the brussel sprouts are in the oven, snip bacon into ½ stripes. Add the tablespoon of olive oil into a medium size cooking pot and fry bacon for about 15-20 minutes at medium-high heat , until the it is fully cooked (will look a nice brown color),drain excess grease leaving only about 1 to 2 tablespoon of bacon grease in the pot with the cooked bacon. 7. 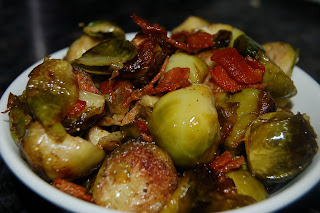 Remove brussel sprouts from oven and put into the pot with the bacon. Toss with the bacon and excess oil and transfer into a serving dish. Pictures of Additional items I made. Email us if you would like the recipes. I don't remember exactly how old I was when I stopped believing in Santa or even how it happened. Did I find out by accident? Did my Mom or Dad (or one of my older siblings) break the news to me when I reached the "appropriate" age or one of the older kids on the playground at school? Even though I don't remember exactly how it happened, I distinctly remember being disappointed. There wasn't a jolly old man that magically delivered presents to good boys and girls all over the world in a single night? The Wish List I made every year was really going to Mom and Dad?? After that, Christmas just wasn't the same...it was no longer magical. 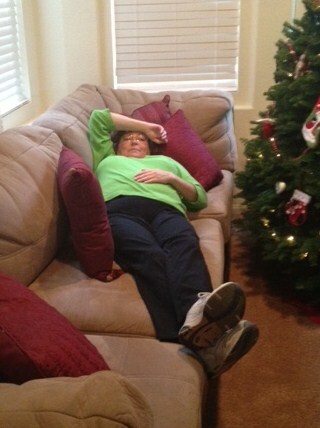 The magic and wonder of Christmas was recaptured when I started taking care of my stepson and my 2 boys were born. I got to re-live it all through the eyes of my children. Feeling their anticipation build as Christmas approached, watching the joy on their faces as they raced down the stairs early Christmas morning to find all of the presents Santa brought piled under the tree. Hearing their exclamations as they tore the wrapping off of the toys they had asked Santa to bring when they sat on his lap a few weeks earlier. The boys are all older now and obviously no longer believe in Santa. Although we all know Santa isn't real and that the true meaning of Christmas has nothing to do with a jolly old man in a red suit, we can still believe in the spirit of Santa. The spirit of giving. Which brings me to today's post...I was recently invited to a holiday brunch and wanted to show my appreciation for the invitation by bringing the hosts a homemade gift. I happened to have some fresh blueberries in the fridge that needed to be used up so I made one of my favorite quick breads - Lemon Blueberry Bread that's brushed with a lemon simple syrup while still warm and then finished with a lemon glaze. This Lemon Blueberry Bread is so moist and delicious, packed with lemon flavor without being over powering and bursting with blueberries. It's a slice of heaven. If you can't get fresh blueberries, you can substitute frozen with the same great results making this a treat you can enjoy all year round. I hope you'll give this recipe a try and maybe even make it as a gift yourself. In a large bowl, whisk together the sugar, yogurt, eggs, lemon zest, oil and vanilla. Gently fold the blueberries into the batter and immediately pour it into the prepared loaf pan. Bake for 50-55 minutes or until a toothpick inserted comes out clean (mine took about 50 minutes). Remove from oven and place on a cooling rack. Allow to cool in pan for 15 minutes. Loosen the sides with a knife and then remove from pan and place on the cooling rack with a cookie sheet or wax paper underneath. While the bread is cooling is cooling in the pan, prepare the lemon simple syrup. In a small saucepan over medium heat, combine the lemon juice and sugar. Bring to a simmer stirring to ensure the sugar dissolves. Simmer for 3 minutes stirring occasionally. The liquid should be slighly reduced. Remove from heat and set aside. After removing the bread from the pan, use a skewer or toothpicks (a skewer is better because it makes bigger holes),to poke holes in the top of the bread. 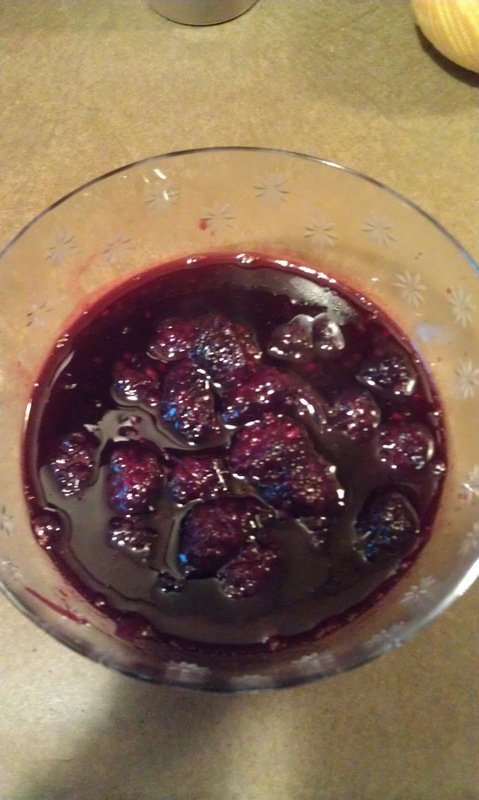 You will need to poke a lot of holes to allow the simple syrup to soak in. Be careful not to poke all the way through the bottom of the loaf. Take the simple syrup and brush or pour slowly over the top of the loaf allowing the syrup to soak into the bread. This should be done as soon as you remove the bread from the pan so the syrup will soak in better. It won't soak in as well if the bread is too cool. Allow to cool completely. Prepare the lemon glaze by combining the powdered sugar, lemon juice and lemon zest. Make sure the glaze is the appropriate drizzing consistency. It should slowly drip off of a spoon so it will sit on the bread and slowly pour down the sides. When the bread is completely cooled, drizzle with the lemon glaze. This bread is so good, I made 2 loaves! Keep stored in an air tight container for 2-3 days (if there are any leftovers). Wow…I cannot believe Christmas is next week. I stayed up till Midnight last night last night wrapping gifts, my most detested task of the Christmas holidays. I would rather be in the kitchen any day J. Faye was saying that she just started her shopping, so don’t feel so bad that I'm not done yet. I'm sitting on my couch right now typing this, looking at my beautiful tree and stocking hung and Christmas music in the back ground. I have been so busy this year that it is so nice to just sit back and take in the holiday. 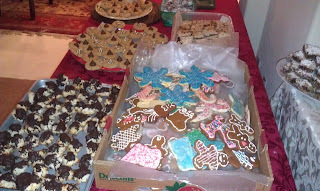 The Christmas Spirit, the colors, the smells and the flavors, it is such a beautiful time of year . We all need to just take the time and just enjoy it, see it, inhale it, taste it. 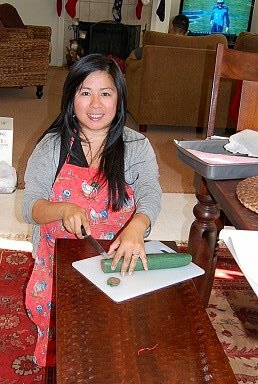 Because before we know it, it will be over and all that the Christmas holiday brings will be gone for another year.I guess that is one of the things I love about cooking the best. That all I need to do is cook one of my Christmas favorites at any time and it brings some of the emotions, scents and flavors back for at least a day. This brings me today’s recipe, it brought me back to an event. 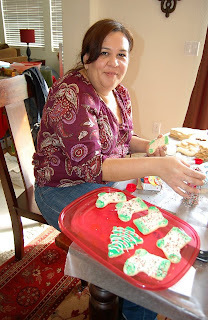 A few years ago, my high school best friend Dana and I took a trip to New Mexico right before the Holidays. It was on my list of states I wanted to visit, and Dana is always up for traveling. We had a wonderful time visiting Albuquerque, Taos and Santa Fe. 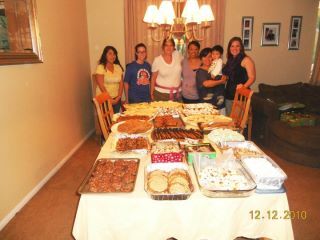 New Mexico is a great state, but the food..now that is fantastic!. 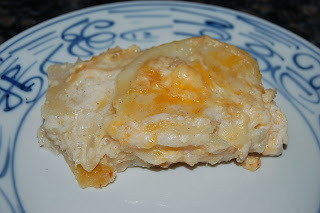 The recipe I am sharing with you today is from a Bed and Breakfast we stayed at during out visit. The Inn Keeper made this for our breakfast our first morning, a very nice way to start our vacation. I made sure to ask them for the recipe which they shared ( Faye and I are both strong believers that recipes should be shared, hence one of the reasons for the blog). 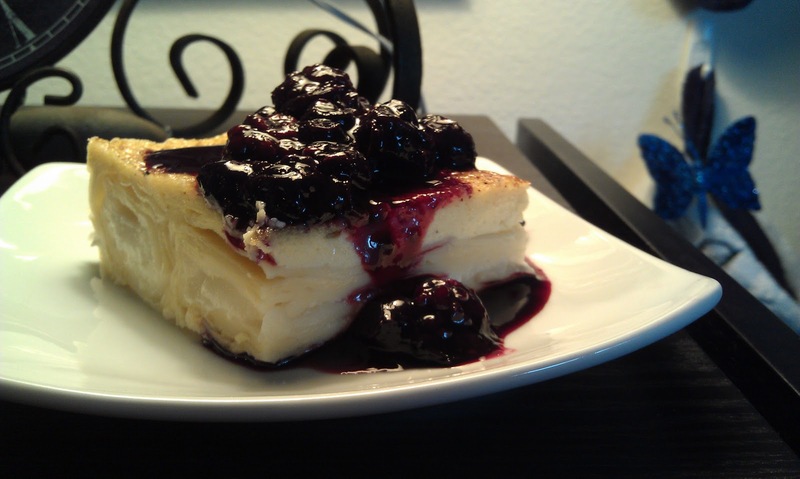 Through the years I have perfected the Blintz Soufflé to my taste. 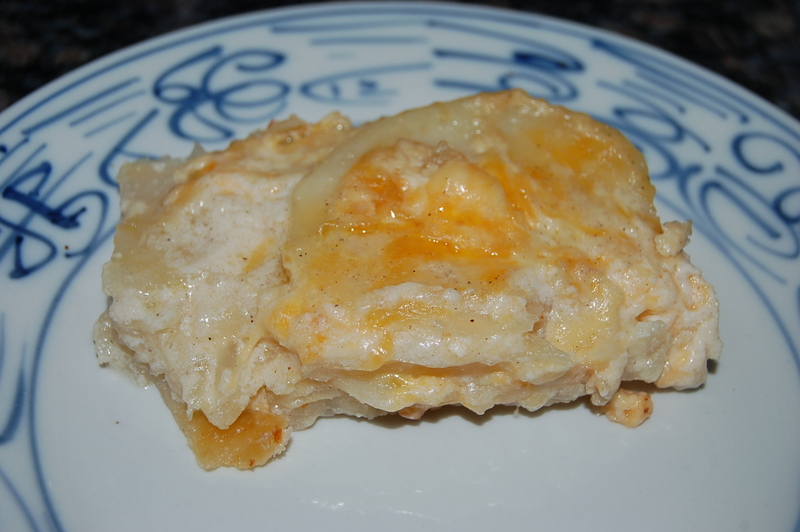 This is great dish to make for a Christmas morning for youe family. It is sweet and creamy and the Blackberry Compote topping just sends it over the top. 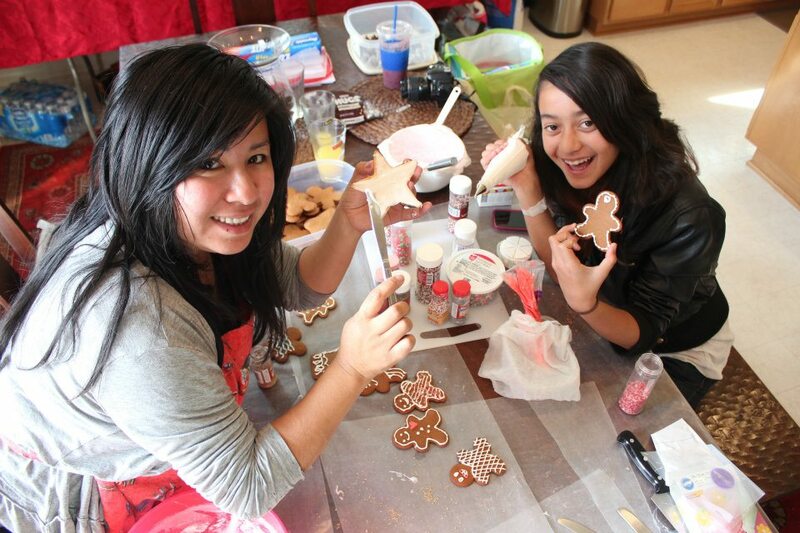 Your family will be very impressed with your skills, and it will become a family favorite for years to come. And the best part is that it is a super easy recipe that anyone can make. Happy Cooking everyone! <! Beat together, all the remaining ingredients. <!Bake uncovered for 15 minutes, then lower temp to 350 and back for 30-45 minutes. <!If its starts to get a bit too toasted on the top, lay a piece of foil on the top. There’s family that you’re born into, then there’s family that you kind of just fall into and adopt as time passes and life leads you down unfamiliar roads. We are lucky to have both. 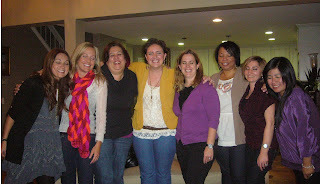 We have a unique, special group of women in our lives that we are blessed to call family. 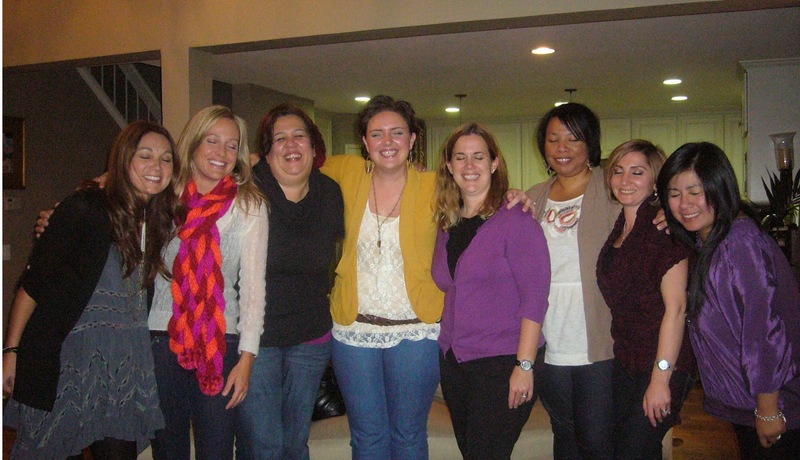 These women are fierce, fun and fabulous. They’re there for you when you need them (and sometimes when you don’t…or at least think you don’t). They laugh at your jokes (even the ones that are not that funny), they cheer your successes and commiserate with you when you fail. Either way, you know you can always count on them. Through the span of our “family-ship”, we have been through marriage, childbirth, divorce, hardship, layoffs, new ventures, and most recently triumph over life-threatening illness. So this post is about family, both the one you’re given and the one you choose. Spending time with them and having fun. Making memories that will remain in your heart forever. For us, spending time together always involves food! 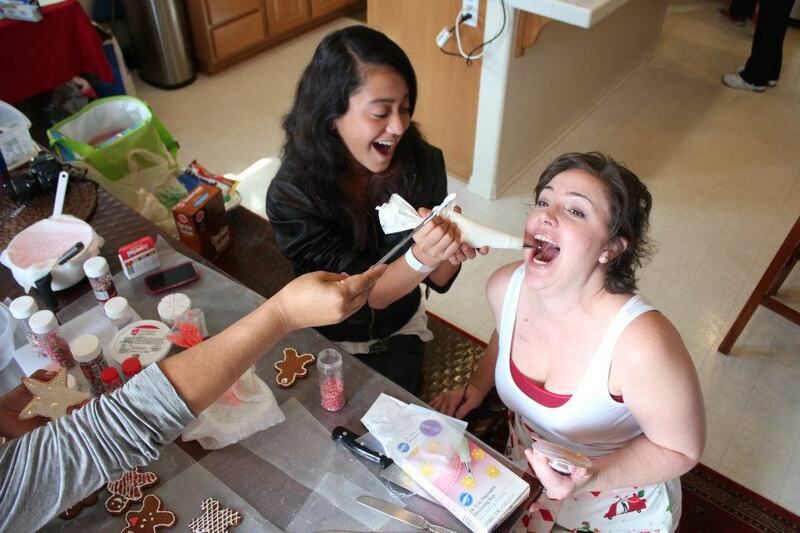 And our most memorable event is our annual Christmas Cookie Bake Extravaganza. An entire day (and we do mean entire) devoted to baking cookies and other holiday treats. The day is long, intense, exhausting and amazingly... FUN! As soon as the day is over, even though we can barely stand, let alone look at another cookie, we are already looking forward to next year. 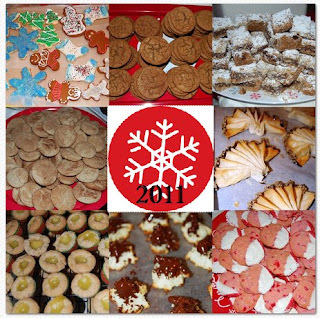 This year we made 20 different kinds of cookies including fudge and we're so excited to be able to share some of those recipes with you. While we like to try new recipes, there are always the classics that we must have every year – Chocolate Oat Bars, Jackie’s Tarts, Molasses Cookies and Snowballs (aka Mexican Wedding Cakes, Russian Teacakes..is there any nationality that hasn’t claimed this one??). The Chocolate Oat Bars are everyone’s favorite. Yvonne has been baking these bars for over 20 years. They are a delicious combination of melted semi-sweet chocolate, sweetened condensed milk and nuts, baked atop a cookie-like crust and topped with a crumb topping. Finished with a sprinkling of powdered sugar, they are absolutely divine. You can't find a better bar recipe than this one. Jackie’s Tarts is a classic jam filled turnover with a buttery, flakey crust, brushed with an egg wash to make them golden brown, then drizzled with a powdered sugar glaze. 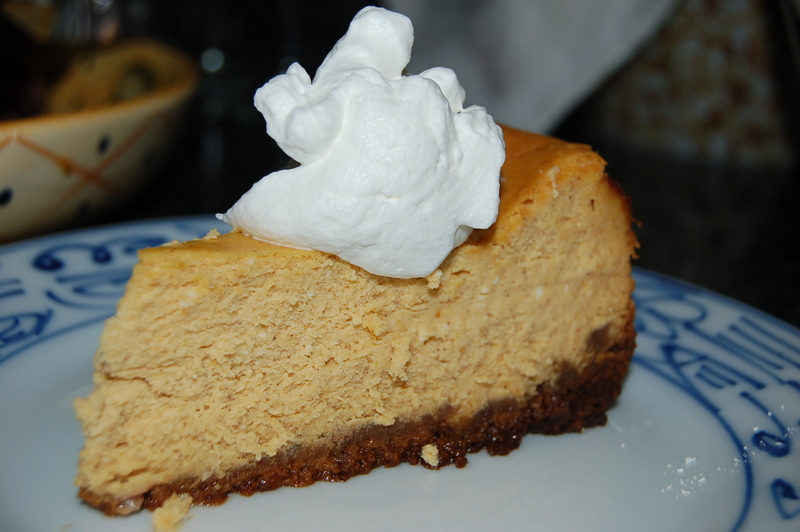 This recipe came from a friend of Yvonne's who was an Executive Chef at a well known hotel. 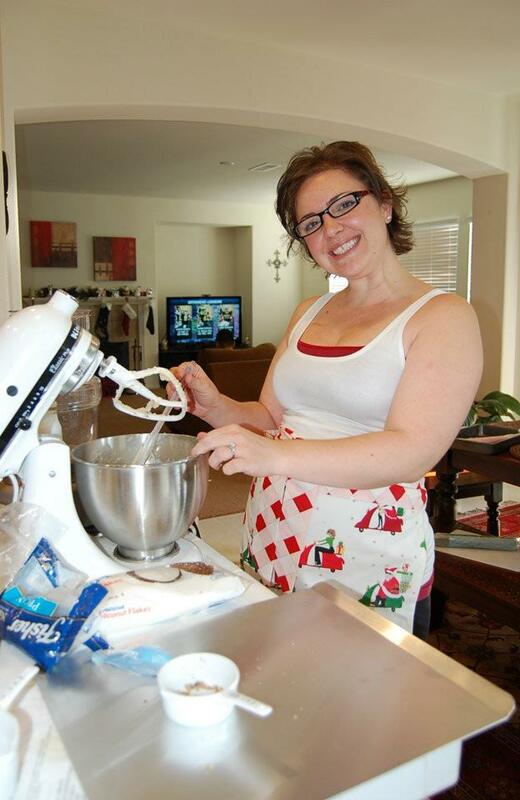 Over the years, Yvonne has perfected this recipe and definitely made it her own. Rachel's Snowballs scream “it’s Christmas!” (and she'll even sing "Last Christmas" for you). Crisp, buttery, nutty, delicious. How could you possibly go wrong with a cookie showered in powdered sugar? Teresa's Molasses Cookies are a true classic and these cookies definitely deliver in molasses flavor. They are soft, chewy perfection. This year’s new recipes were Faye's Lemon Cookie Cups, Beckie's Holiday Phyllo Fans, Freda's Bourbon Balls and Colleen's Peanut Butter Blossoms. With all that chocolate, butter and powdered sugar going on, we had to have something tangy and lemony to balance it out. Imagine a sugar cookie baked in a mini-muffin cup filled with tangy lemon curd. These cookies will remind you of a Lemon Meringue Pie that you can pop in your mouth! The Holiday Filo Fans are perfect for those that prefer a lighter cookie with just a hint of sweetness. So light and flaky with a hint of chocolate, cinnamon and orange and a sprinking of nuts, you'll wonder if these cookies have any calories at all. You could seriously eat 10 of these cookies and feel like you ate nothing at all...seriously (not speaking from experience or anything...). And what's a party without a-a-a-a-a-alcohol!? The Bourbon Balls got rave reviews (was it because everyone was drunk?). Crispy little balls of goodness with a blast of bourbon flavor. Definitely the more adult cookie of the day. And let's not forget about the Peanut Butter Blossoms. Peanut Butter and Chocolate? Yes, please. And Colleen added her own special twist to this classic recipe by using a combination of Kisses and Hugs, just because she's sweet like that. 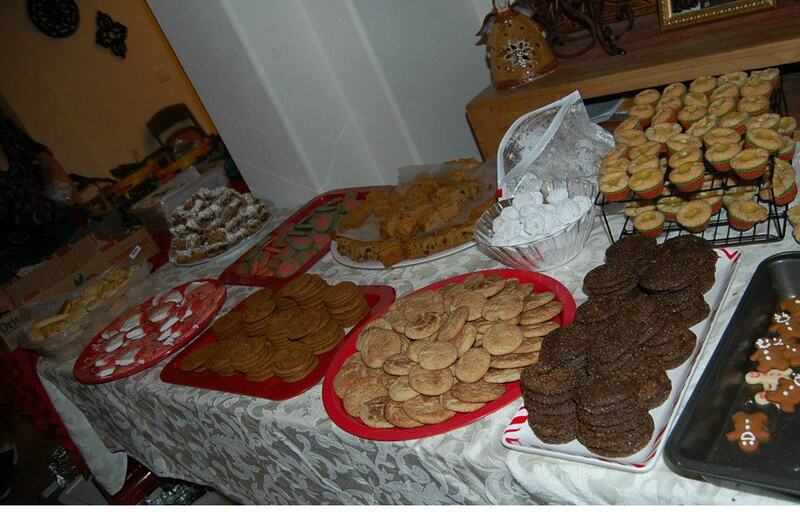 It's hard to believe that another successful Cookie Bake has come and gone. We're sad it's over but look forward to all the wonder a new year brings. So hip hip hooray for another year of wonderful friends, good food and sing alongs to “ All I want for Christmas is you”. 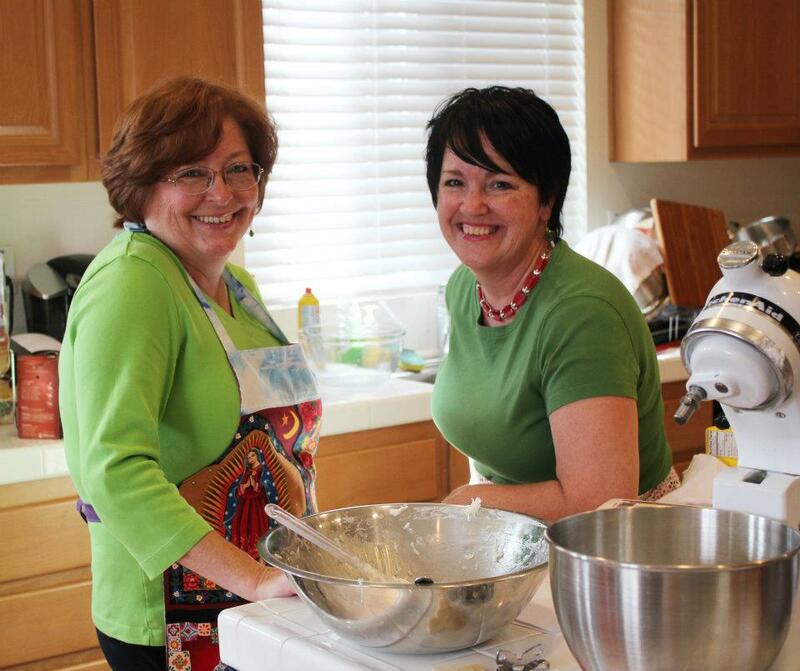 Happiest of holidays from Faye & Yvonne and all of our special bakers and decorators! We hope you'll get in the kitchen and try some of these delicious cookie recipes with your "family" and have as much fun as we did. 5. Beat butter, sugar and vanilla in a large bowl with electric mixer until fluffy. 6. Add flour mixture and beat just to blend. Mixture will be crumbly. 7. Firmly press 2/3 of the mixture to the bottom of your lined pan. 8. Spread chocolate mixture evenly over top. 9. Sprinkle the remaining 1/3 cookie mixture over the chocolate. 12.Lift foil and place bar on a cutting board. Cut into squares. 4. Roll dough on a very floured surface till your about at a 1/8 thickness. 5. Using a a large cup (about 4inches wide) cut circles in to the dough. 6. Fill each dough circle with about 1 teaspoon of preserve. 7. 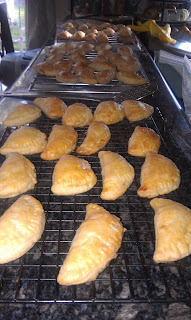 Using a small amount of water on your finger go around the edges of the dough so it was form a glue to seal the edges. 9. Use the egg wash to brush on top of the tarts. This will make them brown beautifully. 10. Bake for 30 minutes , will appear golden brown. 2) In a large bowl, beat butter 30 seconds. 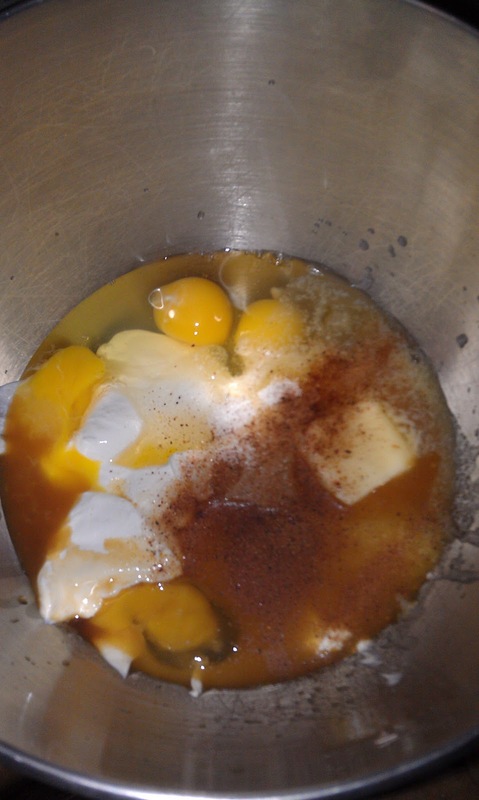 3) Add powdered sugar & cinnamon to butter. 4) Beat in water and vanilla. 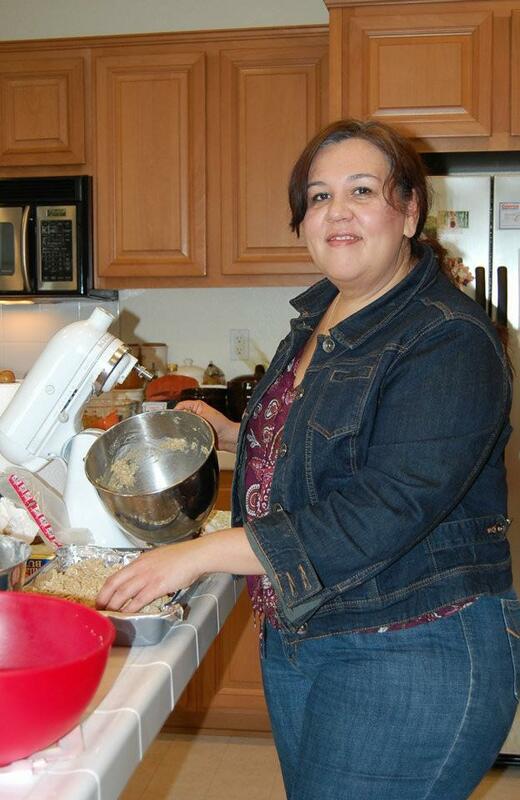 5) Stir in flour and pecans with wooden spoon. 6) Roll into 1 inch balls and place on ungreased cookie sheet 1” apart. 7) Bake for 20 mins of until lightly browned on bottoms. 8) Cool 5 mins on wire rack. 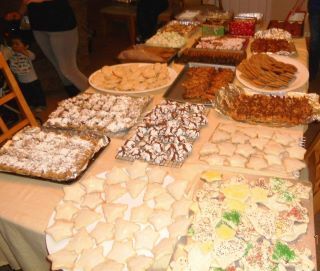 9) Place 1 cup remaining powdered sugar in plastic sandwich baggie and toss cookies a few at a time to coat. Pulverize wafers and put in a bowl. Grind the pecans and add to the wafers. Blend the remaining ingredients (except coating sugar) 10 seconds and add to mixture. Mix well. 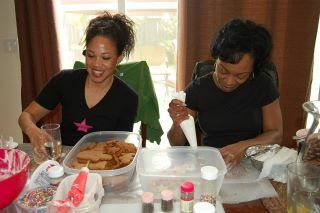 Roll into 1 inch diameter ( I made smaller size) and roll in confectioner's sugar. Store in airtight container at least 24 hours before serving. Gradually beat into wet mixture. Chill 30 minutes. Roll into 1-inch balls then roll in sugar. Place on an ungreased cookie sheet. Bake at 350 degrees for about 12minutes. As soon as they are out of the oven drop a kiss right in the middle. 1. 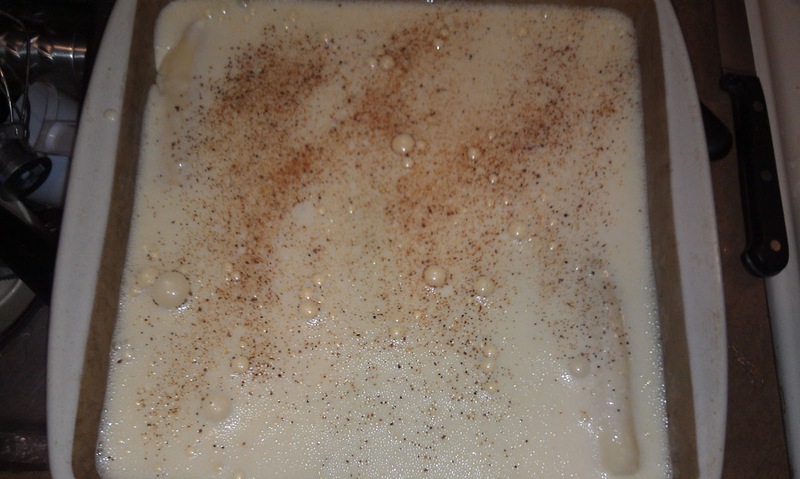 Medium bowl mix melted butter, 1 c sugar, and egg until smooth. 2. Stir in molasses. Combine flour, baking soda, salt, cinnamon, clove, and ginger and blend into molasses mixture. 3. Cover and chill for 1 hour. 4. Heat oven to 375 degrees. 5. Roll dough into walnut size ball and then roll the ball into the 1/2 c sugar. 6. Place 2" apart. Bake 8-10 mins. Drop one tablespoon dough (or roll into balls) and place into each cup of a greased or paper lined mini muffin tin. Bake for 8 minutes. 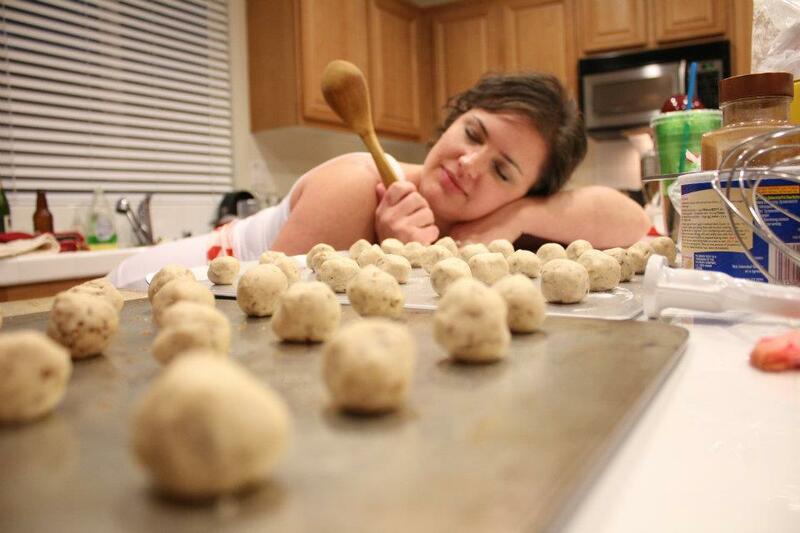 Remove from oven and using the end of a wooden spoon handle, make an indentation in the center of each cookie. Fill with a teaspoon of lemon curd (recipe below). Return to the oven and bake for an additional 4 minutes, or until cookies are firm and lightly browned on the sides. Remove to wire racks to cool. Sprinkle the edges to the cookies with powdered sugar if desired. Thaw phyllo dough according to package directions. Cut rolled phyllo dough in paper wrapper crosswise into fifths. Rewrap 4 pieces in damp paper towel. Unwrap 1 piece of phyllo and discard paper. Cut strip in half crosswise. Brush one piece of phyllo with melted butter. 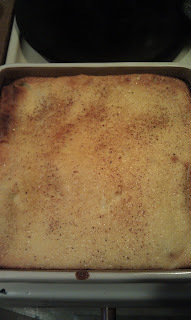 Top with second sheet, brush with butter. Repeat with third sheet. Fold sheets accordion-style into 3/4" thick folds. Pinch together folds at one end. Spread folds apart at the other end forming a fan shape. Place on ungreased baking sheet. Bake 6 at a time in 375 degree oven for about 5 minutes or until golden brown. Remove to wire rack. Cool. 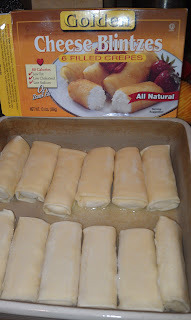 Repeat process with remaining phyllo dough using one portion at a time and keeping the remainder covered with damp towel until ready to use to prevent them from drying out. Melt chocolate over low heat. 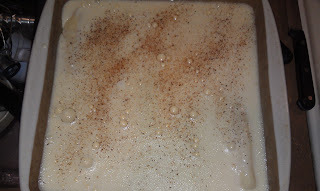 Stir in peel, shortening, cinnamon and nutmeg. Dip wide end of fan about 1/4" into the melted chocolate, then dip into nuts. Place on cooling rack to harden. We were lucky to have some amazing photographers on hand that day to capture the moments (thank you Beckie and Teresa!). Here are some of the fabulous photos they took.